I baked these tarts a couple of months back for Bake Along, but didn’t manage to blog it on time. Finally managed to blog about these little treats! 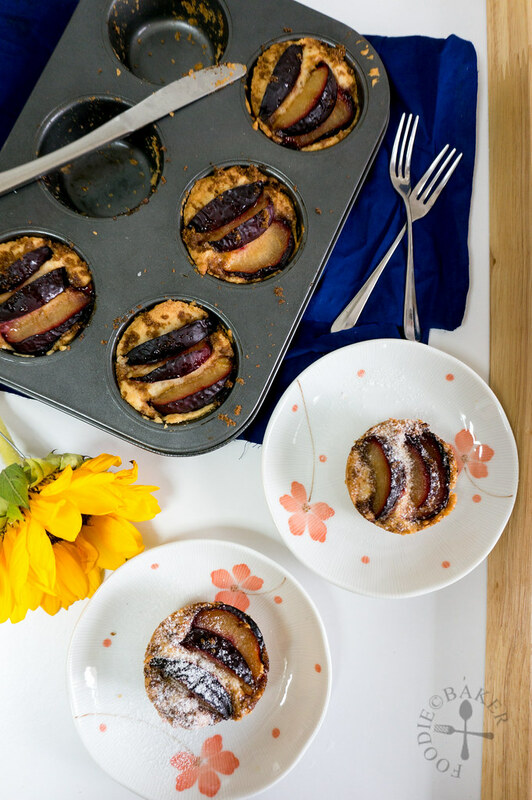 I remembered my mom nagged at me for purchasing a punnet of plums just for this recipe… but I just can’t resist not making them after seeing them on Zoe’s website! They look so adorable and so yummy! I’m quite surprised the tarts don’t have a proper tart base, instead, they have a more biscuit/cookie-like base. The plums are already fairly sweet on their own, so after baking, they caramelised with the muscovado sugar into a sweet treat. Lucky I reduced the sugar in the tart base a little, so the overall sweetness is just right for me. This recipe is not for weight-watcher as it consists quite a lot of butter, but it’s the butter that made these tartlets rich and delicious, so I won’t recommend cutting the fats too much. Well, we should always indulge once in a while right? 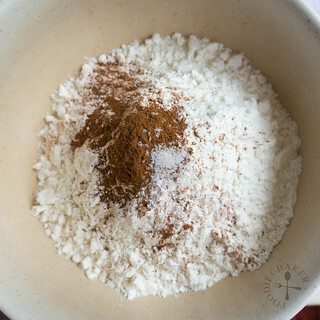 1) Combine flour, baking power, cinnamon and salt together in a small bowl. 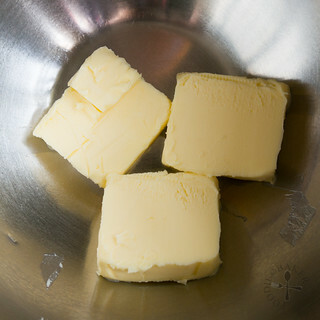 2) Place some room temperature butter in a mixing bowl. 3) Cream the butter until pale in colour then add in the sugar. 4) And some vanilla extract. 5) And some egg. 6) Cream until light and fluffy and fold in the flour mixture in 2 batches. 7) The dough will be a little stiff. 8) Divide the mixture among 6 muffin tins. 9) Fan the peach slices on top. 10) Sprinkle with sugar an bake away! 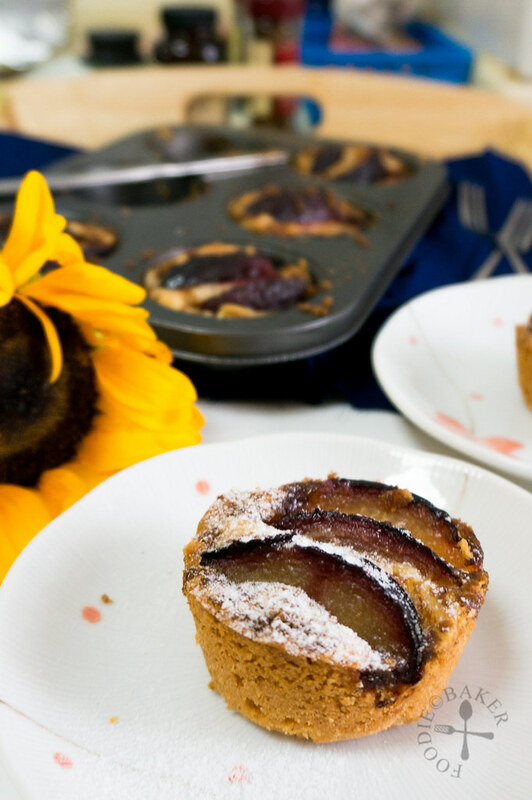 Whether it’s warm or at room temperature, these tartlets taste awesome! Preheat oven to 175 degrees Celsius. Lightly butter a muffin tin. 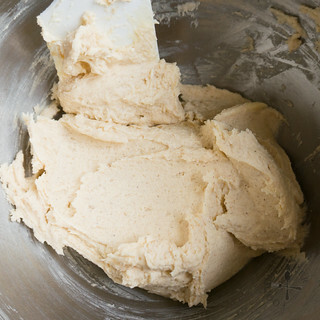 In a medium mixing bowl, whisk together the flour, baking powder, cinnamon and salt. Set aside. 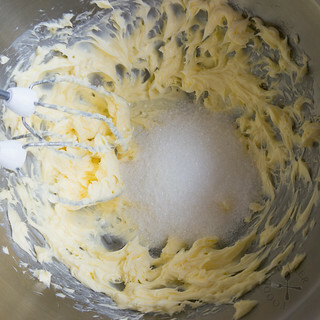 In a mixing bowl, cream butter for about 2 minutes on medium speed. 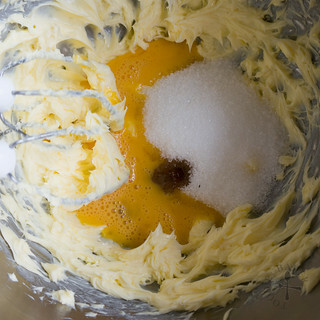 Add in beaten egg, sugar and vanilla and beat on medium-high speed until mixture is pale and fluffy, about 3 to 4 minutes, scraping the sides occasionally. 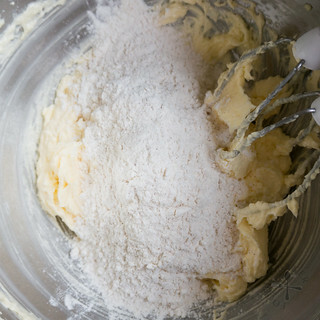 With the mixture running on low speed, gradually add in all the flour mixture, mixing until just combined (don't overmix!) 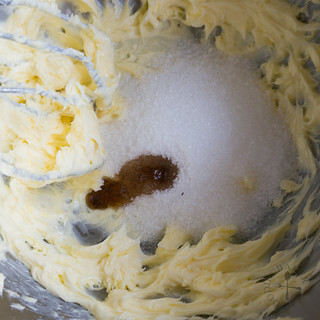 Use a spatula and scrape the bottom of the bowl, ensuring all the flour mixture is incorporated. 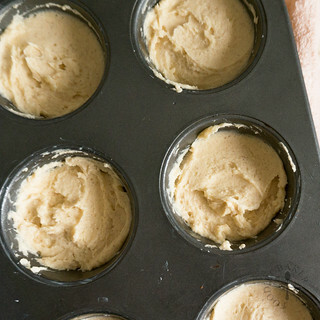 Divide the dough evenly among the muffin tins. I ended up making 8 tartlets, so adjust according how high you want your tartlet to be. Arrange the plum slices on top of the tart, gently pressing the slices into the dough. Sprinkle the top with muscovado sugar. Bake for 25 to 30 minutes, until the top has caramelized to a golden brown and the tartlets look set. They are yummy when warm, at room temperature or chilled! I remember this yummy tart from Bake along. Yours look yummlicious and you baked them so beautifully! Thank you Bobbi! Thank you for sharing the post, and I’m really glad you like these tarts. I’ve replied to your email, really glad to be hearing from you! Take care! hi jasline, nice to hear from you . It’s okay to have missed the dateline..now worries. Glad to know that you enjoyed eating this tart, you hv baked this beautifully! Hi Lena, sorry for the late submission hehe. Thanks for the compliments! Better late than never! So glad that you’ve given this tart a try! It is really yummy and we’ve enjoyed it too! Thanks for baking along with us! ” wink”! Hi Joyce, thank you so much for choosing this delicious recipe! Such tempting tartlets! 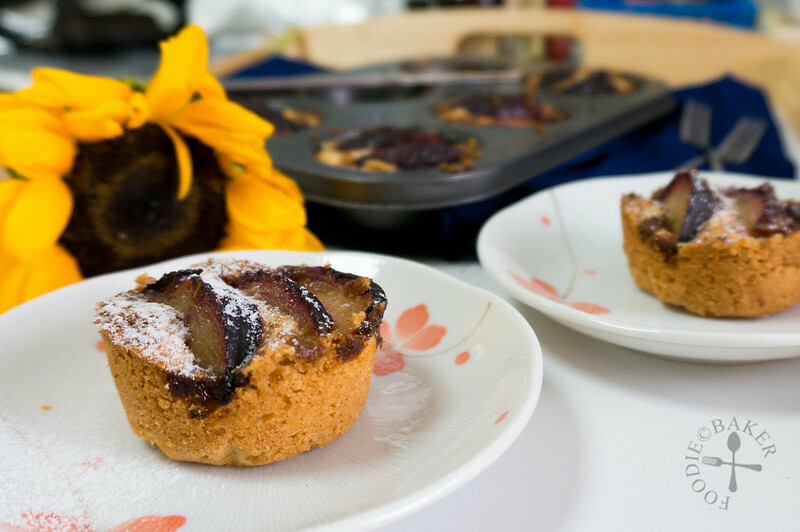 Sweet buttery bases topped with caramelized plums? Sounds terrific! Thank you Liz, yes they were awesome! I have not hear from you for a while. How have you been? I have been back to Singapore for the last 2 weeks of Oct and so I didn’t blog much too. 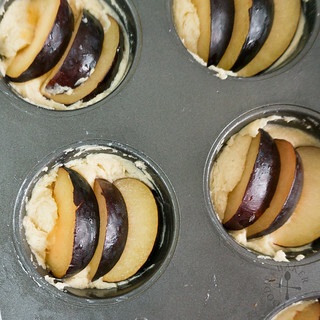 Good that you have baked these plum tartlets. They look so pretty and good. I must say that Joyce has made a great choice for this bake-along. Hi Zoe! Thank you I’ve been fine, feeling more recharged after the break. I hope your trip has been great! Yes indeed Joyce made an awesome choice, this bake is very delicious! Thank you my friend, wish I can send some to you! 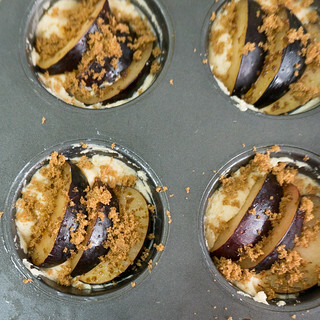 Your plum tartlets are gorgeous and sound so delicious. Glad you posted the recipe. Hi Suzanne, thank you for the compliments!